Many Head for Points readers currently have Platinum status in Le Club AccorHotels, as it used to be an American Express Platinum charge card benefit. Accor ended this deal last year, and those of us who have Platinum status will lose it at the end of 2017. It will probably be a ‘hard landing’ back to the basic entry level if Accor follow the rules to the letter. If you want to retain some sort of Accor status for your occasional stays during 2018, this deal may be worth a look instead. Welcome to the ibis Business Card. If you are a regular visitor to ibis Hotels, you might find the benefits help you make the most of what is generally an unexciting experience! Le Club AccorHotels Gold status – this may in itself be worth £65 even if you rarely stay at ibis Hotels. Gold is mid-tier status with Accor and usually requires 30 nights per year. You receive free internet (although all UK Accor hotels offer this to everyone), an upgrade on arrival if available, a free welcome drink, late check-out on request and a 50% base points bonus (3.7 per €1 instead of 2.5). Even if you only stay at the smarter Accor brands, you might find £65 to be a fair price to pay for Accor Gold status and its benefits. To join ibis Business Card, you need to fill in the form on this page. Question: If I gain Accor Platinum status in Q1 of 2018, would I get that status as soon as I qualify or would I have to wait until January 2019 to get Platinum status? If the former, would I also be Platinum for Q2, Q3, Q4 of 2018 and all of 2019? That is, I would retain Platinum for 7 quarters? Just thinking of whether I should prefer Accor the remainder of this year to maintain Platinum, or focus on requalifying early next year. I got quite a few upgrades this year so it is worth it for me. It was a great pity when Amex stopped offering the Platinum Accor status. It was really useful staying at the T5 Sofitel for lounge access and got some good status matches such as Hilton Diamond out of it too. Having had Accor Gold for the last year I don’t think I could justify paying £6.50 for it, let alone £65. If you want to justify the cost of the IBIS card you should be able to show how you will make enough bookings at IBIS properties to recoup the outlay for the card itself (i.e. above £650 of spend). The only good thing about Gold status at Accor is that I don’t feel bad about booking through an OTA as I don’t feel like I’m giving up any tangible benefits by doing so. Slightly OT but Accor related. Came across Accor Plat via Amex Plat a few years ago. We have found excellent value especially with Pullman and Sofitel. It’s important to focus on those hotels with Club Lounge access. Forget Europe – great lounges/hotels in Vietnam, Cambodia, Hong Kong, Australia, Bali. We qualified for Accor Plat in 2017 through pts accumulation and are about to qualify in 2018 through 2017 expenditure (c £4500?). Two 2 weeks hols saving £25/head per day re breakfast = £1400 + Club lounge on the same basis, another £1400. Plus upgrades etc. Have always been well recognised for being Plat. If you choose carefully we found good value with Accor and it has become our hotel group of choice for FE and Australasia, where they are well represented. Agreed. Our experience as well. I’ll be staying at the Pullman in Marrakech in December for 7 nights with the family. Is it worth getting this card for possible upgrades to a bigger room (suite)? Not if you booked through a travel agent. If you booked direct then the extra points on the room rate may offset some of the cost, plus other benefits. Difficult to see mid tier Gold getting a suite though. 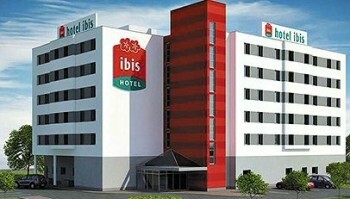 5% off spend over £35 at Ibis on Nationwide Visa offers just now. So what’s the difference between “I am a business traveller” on registration page? No there is no, there why should I pay €90 in stead of €75? Is it to.do with the VAT? Maybe they are quoting an ex-vat price if you say you are a business traveller? In which case it would be added back on later anyway. I have been a member of Ibis Business for a couple of years and I would recommend it if you stay at Accor properties more than a couple of times a year. The benefits at Ibis are nothing to shout about. Broadly speaking, it brings down the price of the flexible rate the same as the non-flex. However, a few free upgrades at a Mercure or Novotel and you will soon get your £65 back. At the Mercure in Liverpool I booked a basic room and was given a suite. Add in the welcome drink and accelerated points earning and it starts to become worthwhile.